help nodding off and getting as much sleep as possible, so why not get them something gentle to assist. The early development, but getting them into a healthy routine is crucial and I believe through my own personal experience with my son Harry that a crib soother is by far the best I’ve come across as a certified method, which has been proven. There are different types to choose from and all with unique features, toys, colors, sounds, and themes, but what they all share in common is the potential to get your little one a good night’s sleep peacefully. The main reason to buy a crib soother is simply to help your baby sleep as much as possible and to associate soothing sounds, images, and colors with a gentle transition from awake into sleeping. Sleeping babies allows for healthy happy babies and will ensure all your family gets a rest too, which means happy families and so on. 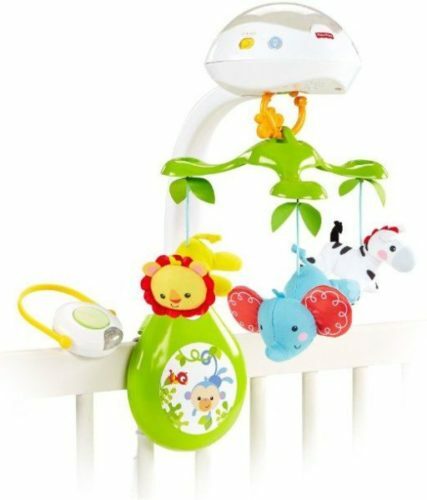 This music playing soother boasts over 65+ soothing lullabies and can be great for your baby, especially if they like certain sounds and not others. The melodies range from nature sounds, water flowing down streams and all things that one would hope to find for their developing baby. This has a built-in sensor and can detect when your baby is crying and can be set to play to reassure them. This, however, comes at a price and is a little more expensive than the previous soother. This doesn’t take away from the fact that this is a great soother and has a calming baby light projecting images that will help the slow transition to sleep. The timer can be set at different intervals ranging; 10, 20 or 30 minutes, allowing you to adapt to fit your baby’s needs. This product will fit most cribs and can be a great gift to assist their already growing number of toys and teddies which are finding themselves in the crib already. 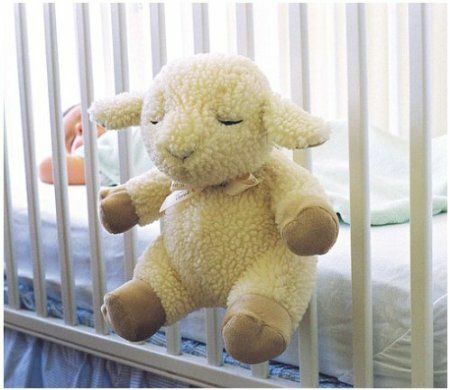 This baby crib soother is more mobile and easier to use when on the move than some of the others and can be used traveling in the infant’s car seat, strollers and bassinets. This electronic device can play 30 minutes of continuous music and has a digital connector for each particular mode of use. The colors are soothing and the moving animals allow some early fascination followed with a great nap or sleep. This product is mid-range in price and I feel is good value for money, it will help and assist your little one in an important time of life. 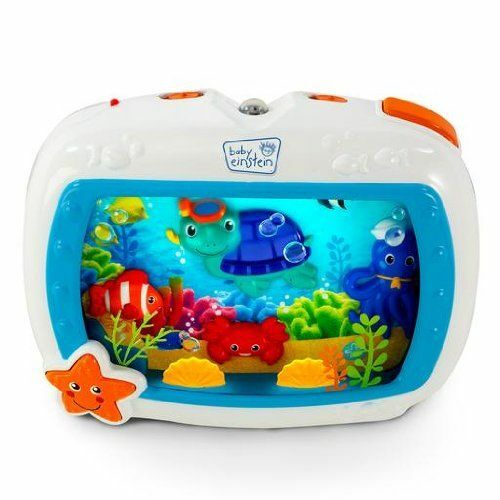 This aquatic-themed soother is on the cheap end of the range of crib soothers and is great value for money, it’s easy to use and once they get a little older (8-12 months) they can even learn to turn it off and on themselves using the star button. The underwater-themed lighting is nice and will be gentle to the eye. The music is also tolerable and unlike others won’t drive you to insanity, especially if you’re like me on long car journeys and bring it along for some assistance. There is a remote which comes standard and can be helpful sometimes in certain circumstances, like in the car etc. This glowing mesmerizing blue waterfall is soothing and gentle. 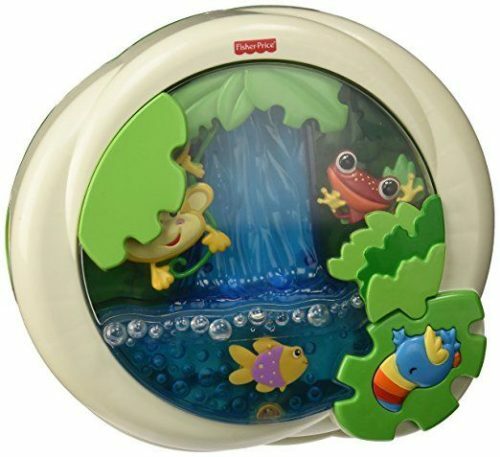 The waterfall with bubbles will leave your baby fascinated and reassured, which will help in those early years of development. The colorful lights will slowly turn off and the frog and monkey swinging too, but not before your child is satisfied and content. We as parents have the luxury of choosing between rainforest sounds or classical, so those long car journeys can be a joy for everyone. 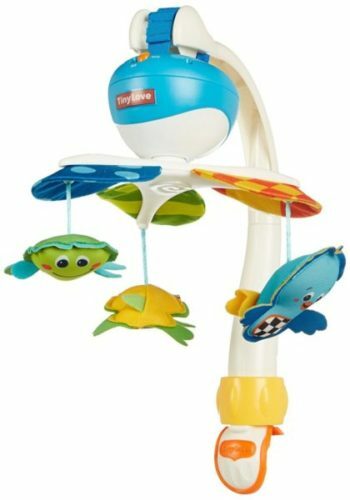 Everything is adjustable on this and will suit the needs of your baby, whether sounds need to be lowered or lights need to be softened, it caters to various and wants. This product is mid-to-upper in the price range and in my view, if you’re willing to spend a little extra then you won’t be disappointed and your little one will reward you with silence and a smile in waking. This baby soother is right in saying it’s deluxe with its three modes of growing, which allows for a longer use of the product with you maximizing its use (saving also) and your little one benefiting in the long run with happy associative features with subtle changes. This soother comes with a crib app and can be used to motorize the music, lights or projections of images. The soother senses movement and will automatically send a message via the app, which is great for those mothers who work from home. This is a mobile product and will fit most cars. This is the top end of the range and a little pricier, but in my view is well worth the buck and won’t disappoint your baby or you. In my view the “Tily Love Take Along” Mobile is by far the best product and the new features which can be used via the app embraces the future, allowing flexibility, convenience, safety and the crib will adjust to your child’s development so clearly it will be used for longer saving time spent having to find another anytime soon. This really is a great crib soother and fits most healthy baby’s needs. The best value for money I would say again is the “Tily Love Take Along” Projection Mobile. Yes I know it’s also the “Best overall pick”, but seriously this is a good crib soother and will save money in the long run, it adjusts to your child’s needs, has an app that can be used to keep a caring and watchful eye and is by far the most aesthetically beautiful out of the whole range. 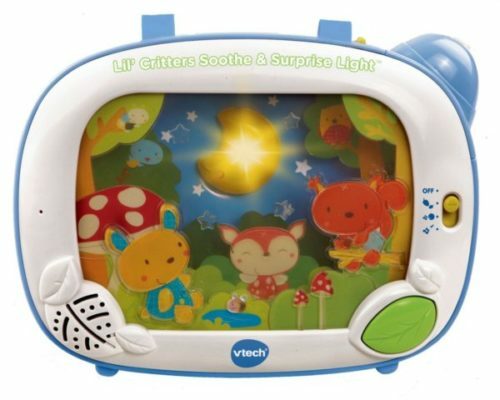 I highly recommend this Fisher-Price Smart Connect Deluxe Projection Mobile and out of all I’ve used my Harry got more happiness and good night’s rest with this soother.